This is something you wouldn’t wish on your worst enemy — and is the #1 reason kids end up in the pediatrician’s office. It’s also very easily treated through chiropractic care. Can I Get a Hand for Dr. Joan? Dr. Joan Fallon spent 25 years in private pediatric practice specializing in pediatric development. She was an assistant professor of natural science and mathematics at Yeshiva University, and has lectured extensively worldwide on pediatric development and disease states related to the growth and development of children. She was also one of the first physicians to enter Romania to help determine the state of Romanian orphanages as an emissary of the United States government. So why am I a fan of Dr. Joan? It’s because she led a research study involving 350 children with otitis media. These kids were treated through chiropractic adjustment, and Dr. Joan used pre and post MRI studies to back up her hunch: that noninvasive, drug-free chiropractic care could get the job done. 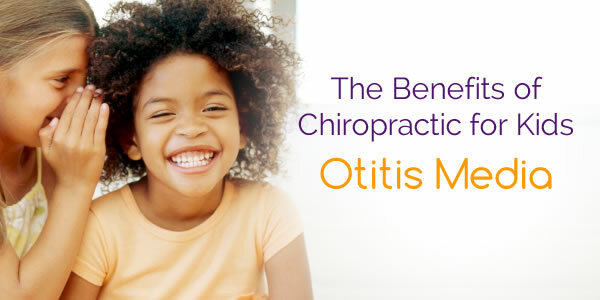 The clinical findings revealed that kids who were under chiropractic care, suffering with otitis media, had the condition resolved in approximately two weeks of care. The origin of the problem is almost always in the neck, at the level of the second cervical vertebra, which is intimately connected to the function of the Eustachian tube (the opening between the throat and the ear). This is a common area of spinal misalignment in children, and can be readily corrected. Chiropractic care for infants, toddlers and children is gentle, safe and effectively dynamic. If you haven’t brought your kids in yet to be checked, I’d urge you to do so.